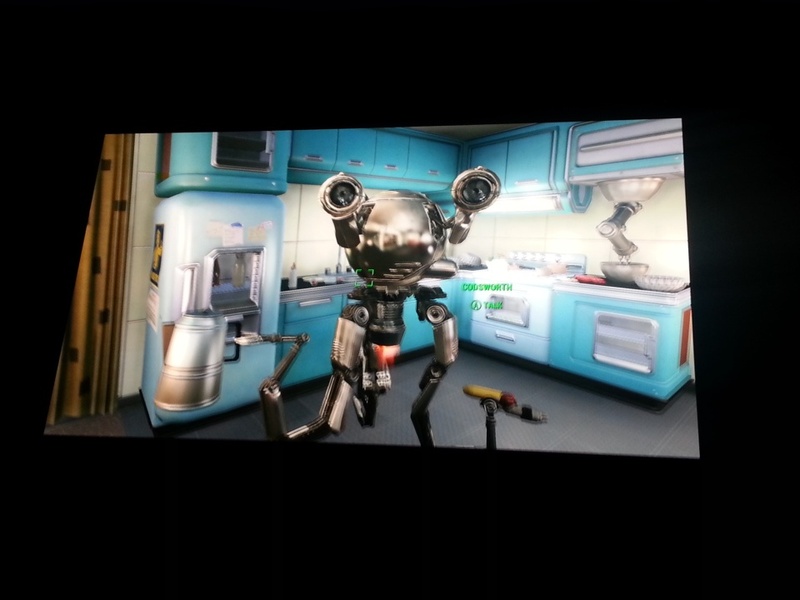 Last night Bethesda kicked off their first E3 showcase, previewing some of their biggest titles yet. With a night to sleep on it, does it really stack up? Well yeah quite a bit of it does for me at least. Doom 4, a game that was lost in the ages emerged last night. Bringin the space marine back to the forefront with a heavy dose of super charged attacks with or without weapons. The demo focused on our hero being the badass, taking it to all the demons and sending them packing right back to hell. It was a ton of shock and even Pete Hines told everyone “Hold onto your butts” it was a wild ride but it’s something the game needed, a mix of horror, shock, fear and that fast paced action that Doom used to have vs just a pure shockfest with a flashlight and insane darkness all over. 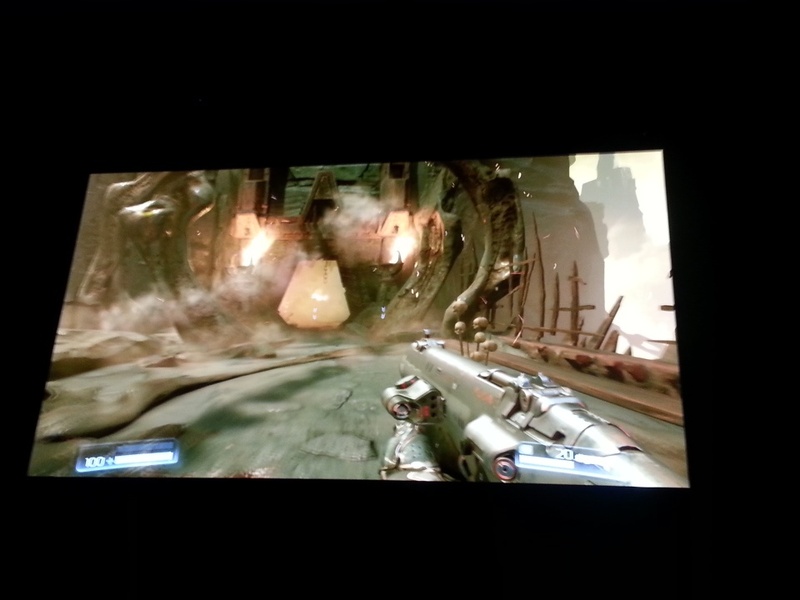 ID Tech 666 looks great, the question for some is, are we seeing OpenGL or DX? The lighting and particle systems do push the envelope for results so I guess it doesn’t matter, I know some in the crowd were worried about being oversold on the visuals but if it stays to the Doom 3 standard, it will but you might not be able to run it at that detail for a while or without heavy investment. Dishonored 2 stepped into the light quickly after, we see Corvo and Emily take center stage as dual protagonists in the world after the collapse. Surrounded with new enemies and challenges they’re both playable with their own movesets and hopefully their own branches of story. It was a short tease but the game looks solid from the features already shown, there’s quite a it of story waiting to come forward but we’ll have to hold on a bit before getting to know more. 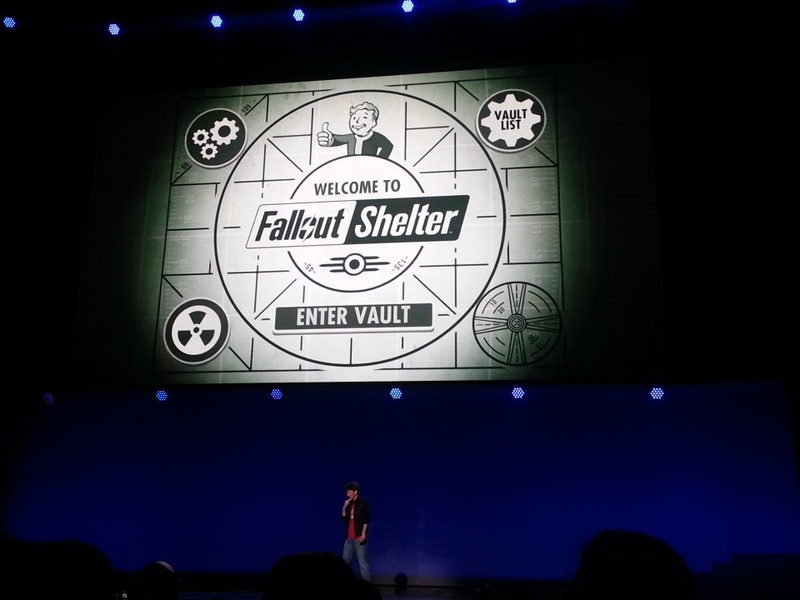 Fallout Shelter teased us all with playing god over our own vault, the game is currently stuck on iOS but with hope and lots of complaints maybe we’ll see it on Android too, for now it’s a game of playing vault master and managing to make your community last through all the devestation by hunting, reproducing and maintaining control of it all. given the game is focused on enjoyment and perks after it should entertain the hearts of fans while waiting for Fallout 4 to arrive. Fallout 4 was the big feature of the show, going on to showcase the details of the story, being alive before the bomb, controlling parents before it all goes down and designing so much of your story before you’re even born. With a Skyrim like move in design, Fallout 4 looks to go beyond just the RPG realm and enter an limitless craft and horde area. Being able to design cities, weapons and make the world your own are all critical changes to how one experiences the game. For die hard fans, the Pip-boy edition of Fallout 4 is probably one of the most legendary things to get, a real life massive wrist attachment that integrates your phone and custom app to create a connected Fallout experience. Overall the showcase was very positive, it delivered a ton of details about titles either missing in action or surrounded in rumors. Now we just have to wait to experience these games in the coming year.